Ndutu Safari Lodge: offers peace and tranquility, it’s located in Serengeti park overlooking the Ndutu Soda Lake, the lodge lies on the northern border of the Ngorongoro Conservation Area – but because it’s essentially a Serengeti experience, we’ve included it in our section covering the Serengeti Migration Area. 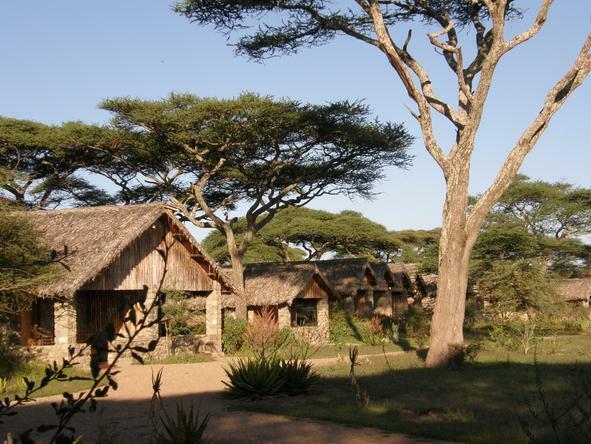 Ndutu is relatively big – with 34 stone-and-thatch cottages offering comfortable, unfussy accommodation, they’re all fairly close together in a long line that extends either side of the central bar/restaurant area and all with a view of Lake Ndutu. 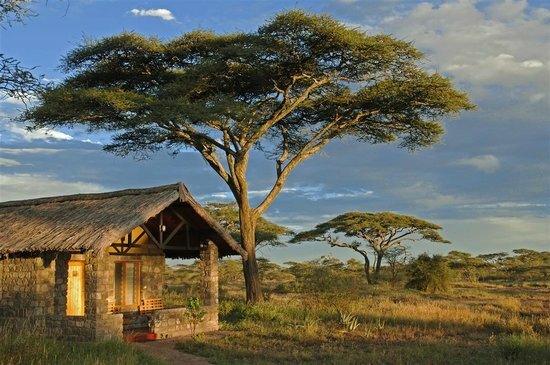 Each room has its own small veranda, where you can sit and watch the wildlife pass by. Among the 34 rooms, 26 have twin beds, and five are triple. There are also two ‘honeymoon rooms’ – numbers 12 and 35 – which are both fairly distant from the centre. 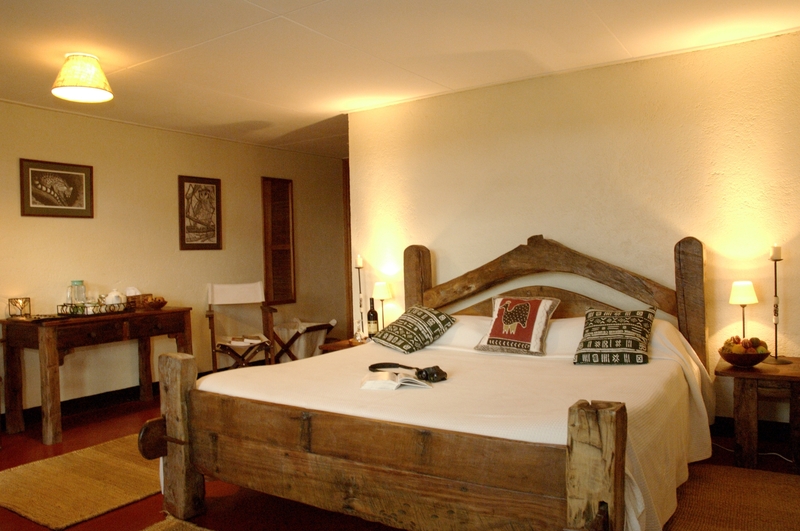 These are slightly more spacious than the other double rooms, and are dominated by beautiful, solid, kingsize beds made from the wood of a Zanzibari dhow. The last room is a family room, which can accommodate two adults and two children. Each of the rooms at Ndutu has a small en-suite bathroom, which incorporates a white-tiled shower, flushing toilet and a single basin. 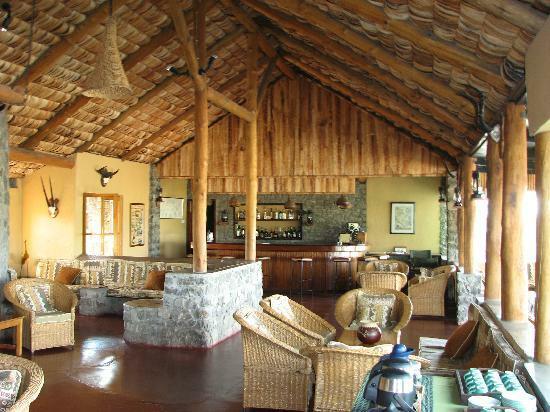 The bar and restaurant area at Ndutu Safari Lodge has views out over the plain, and a firepit outside. It’s a large, plain stone room with solid, functional, wooden furniture. Animal horns around the room help it to retain the feeling of an old hunting lodge.